Dental Veneers are custom crafted porcelain laminates fitted over the front of an existing tooth. They bond directly to the front of the tooth, dramatically enhancing or restoring its shape, color, and appearance. What are veneers and what benefits do they offer? Veneers are very thin porcelain shells which are extremely strong and durable when bonded to natural teeth. They generally require only a minimal amount of enamel to be removed from the tooth. Veneers can cover dark shades, minor twists and overlaps, small gaps, and chips to create a natural-looking beautiful and bright smile. If you desire a predictable and long-lasting way to improve the aesthetics of your smile, veneers may be a great choice for you. However, the teeth to be treated must be healthy and free of decay or active periodontal disease. If you grind or clench your teeth you also may not be a good candidate. How long do veneers last and what maintenance is required? Veneers are intended to last for many years. The exact life expectancy of veneers or any dental restoration is difficult to predict due to various intraoral differences from person to person; however, the longevity of veneers rivals or exceeds that of any type of dental restoration currently available. 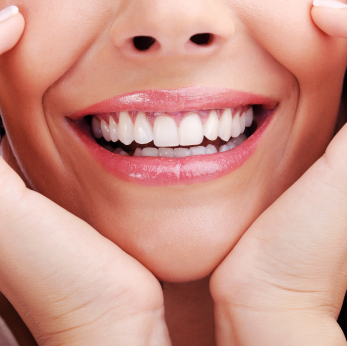 Obviously veneers will last longer with proper care such as brushing, flossing, and regular dental visits. A nightguard may be recommended to protect veneers, and patients should be advised not to bite their fingernails or chew hard objects like pencils or ice. The first alternatives would be composite veneers, which are made from tooth-colored filling material, are done in one visit, and are less expensive. The disadvantages of composite veneers are that they are not quite as natural-looking and may be more prone to stain or chip. If you are not a candidate for veneers due to excessive amounts of filling or enamel wear, then porcelain crowns are an excellent option. Porcelain crowns will offer equally as natural-looking and stunning results as veneers. View our Smile Gallery and Testimonials for more information on our cosmetic results!